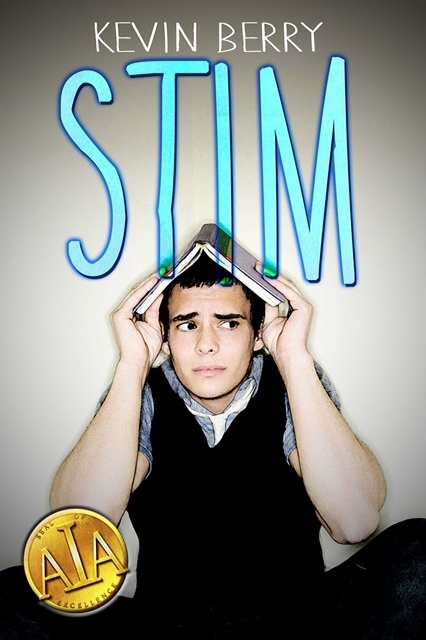 Book Tour: Stim by Kevin Berry + Giveaway! Promo Blitz: The Dead Wife’s Handbook + Giveaway!! Ages ago (January), I posted my love letter to the first chapter of The Dead Wife’s Handbook and now it’s publication week and I could not be more excited to see the UPS man when he brings me my beloved package!!! Anywho, I’m absolutely thrilled to be a part of Hannah’s promo blitz for The Dead Wife’s Handbook. 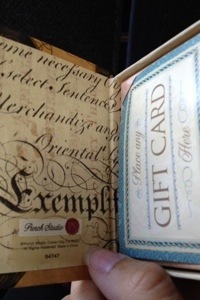 Watch the lovely video below and then enter the GIVEAWAY! 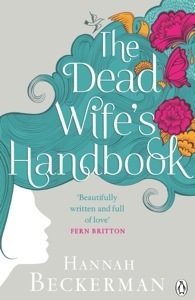 The Dead Wife’s Handbook is the stunning emotional debut from author Hannah Beckerman. Rachel, Max and their daughter Ellie had the perfect life – until the night Rachel’s heart stopped beating. Now Max and Ellie are doing their best to adapt to life without Rachel, and just as her family can’t forget her, Rachel can’t quite let go of them either. Caught in a place between worlds, Rachel watches helplessly as she begins to fade from their lives. 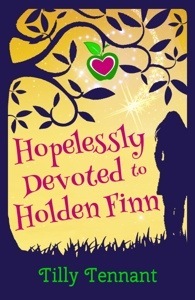 And when Max is persuaded by family and friends to start dating again, Rachel starts to understand that dying was just the beginning of her problems. As Rachel grieves for the life she’s lost and the life she’ll never lead, she learns that sometimes the thing that breaks your heart might be the very thing you hope for. So this past Friday, you know, Black Friday, I went shopping. Book shopping of course! I stepped into Barnes & Noble and while I’m ever so happy to see hoards of people buying books, shopping alongside of them is what I imagine hell to be like. I was in and out of the store within 20 minutes. (That’s a new record.) Before I left, I found the single greatest thing at the cash register. 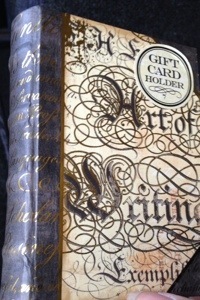 Gift card holders in the shape of books! It’s probably not new, but hey, it’s new for me and made my day. I picked up one for myself. Don’t judge. 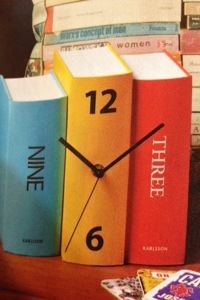 I found this neat clock in a magazine, snapped a shot of it and have no idea where it’s sold. I went searching through Buzz Feed’s many lists and found this bookmark treasure. Instead of a house, you can drop a book on the witch! Last but not least, for when that ending leaves you weeping. 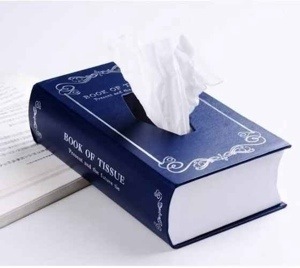 I own a variation of this tissue box; this one’s sleeker. 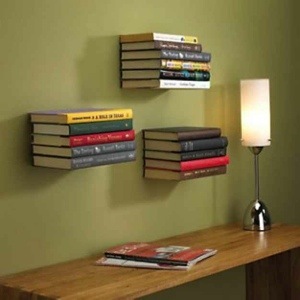 What bookish gifts do you recommend?